Read the DAC's main findings and recommendations, available in English and in French. The Review says that having started increasing aid in 2017 following a five-year decline, France now needs to increase the share of grants compared to loans in line with its ambitions to support fragile and least-developed countries. Read the press release, available in English and in French. 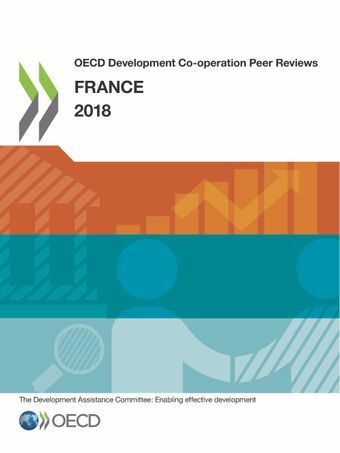 France has successfully established innovative development financing mechanisms, including the financial transaction tax, the solidarity levy on air tickets; the “1% water”, “1% waste” and “1% energy” facilities, and debt reduction and development contracts. Continued development of these mechanisms could help to promote their use by other donors and enable France to be a leading protagonist in this field. In addition, France has a broad range of catalysing instruments for supporting private sector development in developing countries.